The hard floors in your domestic and commercial property will be in perfectly hygienic and clean condition if you use our services. Our cleaning technicians can take care of the washing, mopping, polishing and buffing of wood, natural stone and other hard floors. Very happy with the job your cleaners done, all floors at home were perfectly cleaned and polished. The work will be implemented at a convenient to the customer day and time with the help of powerful and effective machines, tools and preparations. 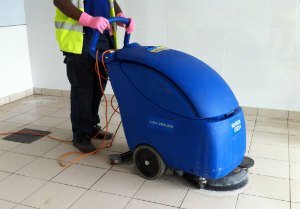 The hard floor cleaning which we provide in London is professional, reliable and available seven days in the week. Book Your Hard Floor Cleaning Now! If the hard floors in your property need thorough and well cleaning rely on our staff to provide it. We offer professional cleaning of all kinds of hard wood and other floors which is implemented with the help of specialised equipment. If you use our services the hard floors in your estate will be in great condition and will serve you long time. Our staff of cleaners use the latest buffing and polishing machines that provide excellent results and can restore every hard floor.